I have always been interested in trying proper gel polishes and since I have been on such a huge Sally Hansen kick lately, this starter kit was a great option. It is definitely the cheapest option at $49.95 versus the $99 Opallac kit, though it does come with two extra shades. I was really, really impressed by this kit so lets get on with the review. That is $81.75 included value not even counting the LED lamp which can't be purchased separately. It is also worth noting that a gel mani will set you back almost 50 bucks and this kit gives you 10 home applications before you need to purchase more disposables. As for the application I would highly recommend that you fully read all the instructions before starting. I skimmed through and missed the note about having to clean off the nails with the alcohol wipe after curing the top coat because the curing leaves behind a sticky residue even though the nail is fully set. 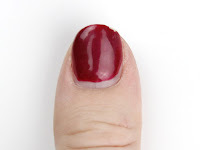 The most important steps to this process though is to make sure you full prep the nail by filing, pushing the cuticle back so it is neat and cleaning the nail bed of all oil and residue with alcohol to dehydrate the nail. All these steps are really important for ensuring the polish sticks to the nail and lasts as long as possible. After cleaning the nail bed either with one of the nail cleanser pads or just normal Isocol (which is what I always use to prep for my manicures) it is time to apply the base coat. All coats should be applied in a thin layer and cured right away. 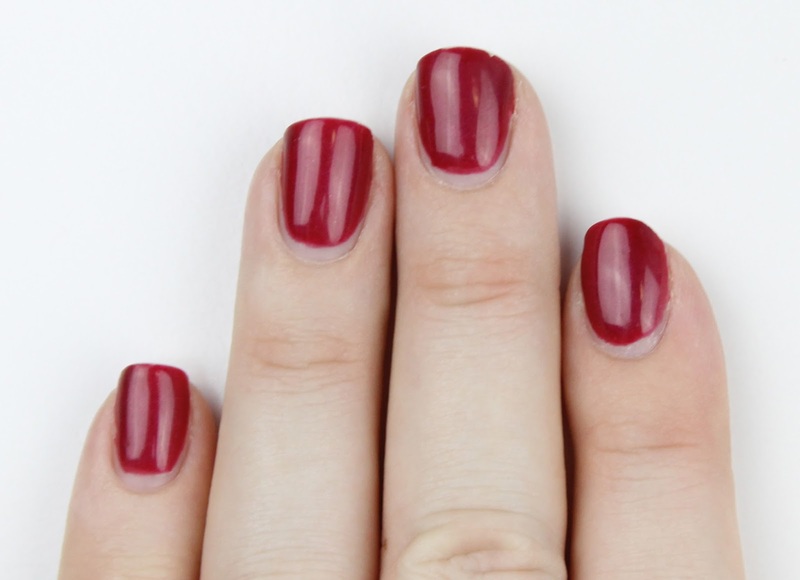 It is also a good idea to fully finish one hand before starting on the other to prevent smudging. I really love that the lamp has an inbuilt timer so when you press the button to turn it on it switches off after 30 seconds when your nails are cured. 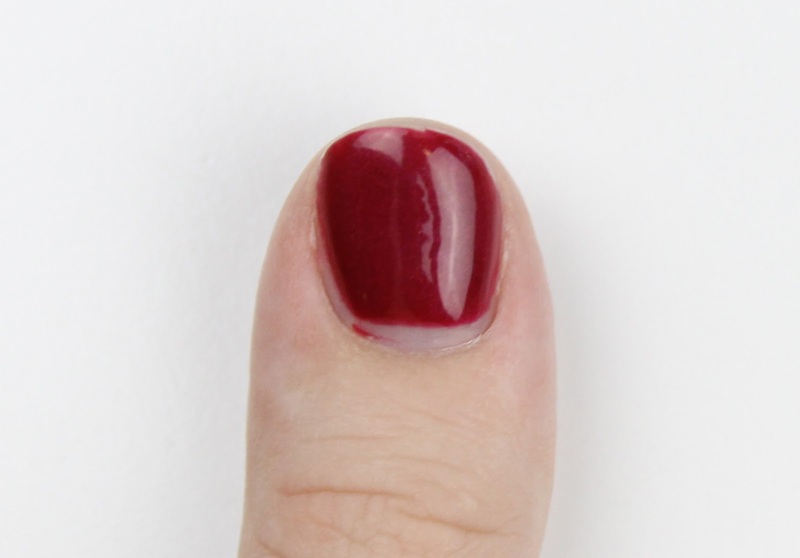 Another tip is to also make sure you go as close to the cuticle as possible without touching it (if you go on the cuticle it will start to peel there) and seal the edge of the nail because gel polish shrinks ever so slightly when you cure it. Applying the base coat, two coats of nail colour and top coat and completely curing it took less than 30 minutes which I think is amazing considering I could wash dishes straight away without any smudging or denting. Waiting for nail polish to set is my pet hate, especially when I underestimate the drying time and ruin a manicure I spent 30 minutes on and babied for 2 hours while it dried. Long story short, I really loved this polish. It set super fast for a perfect finish and thanks to the gel formula, it was way shinier than a regular manicure. Because I forgot to cap the ends it did shrink ever so slightly there but it still looked great and I will remember for next time. It applied really nicely as well and set perfectly in 30 seconds under the LED light. The packaging is fairly basic but I really love that the shade is on the bottle handle because the bottle has to be opaque to stop the polish from setting in the bottle. Of course the most impressive part of this polish is the longevity. The box claims up to 2 weeks wear which is actually spot on. Even though I forgot to seal the ends I wore it for a week and a half with only one chip which on my thumb which I think was actually more to do with my annoying peeling nails. Even when I took it off it still looked great and would have looked even better if I had remembered to seal the ends. I was just a little sick of the same colour and there was a bit of a gap at my cuticles. In reading reviews for this product I saw people say that it lifted on them but I have no idea why. Maybe it was because they didn't prep properly but I didn't have any issue at all. As you can see, even after a week and half of wear, the polish still looked really good. It most definitely blows all the regular polish fomulas out of the water and is still really affordable. It was also pretty easy to get off. I just had to soak cotton pads and put them on my nails and wrap them in al foil for 15 mins. It lifted right off and didn't damage my nails at all. I love this gel polish and I will definitely be buying more shades. Please tell me if you want to see nail swatches for the other shades. Will you be trying the Salon Gel out for yourself? Let me know in the comments below. 1 comment on "Sally Hansen Salon Gel"
How have I not heard about this?! It sounds amazing. 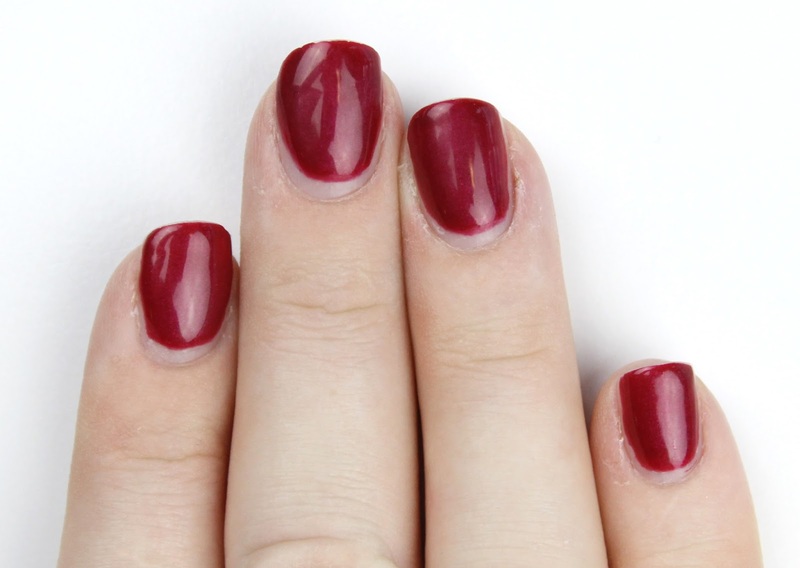 Most polishes chip on me within two days tops, so this could be an option :) Great review!